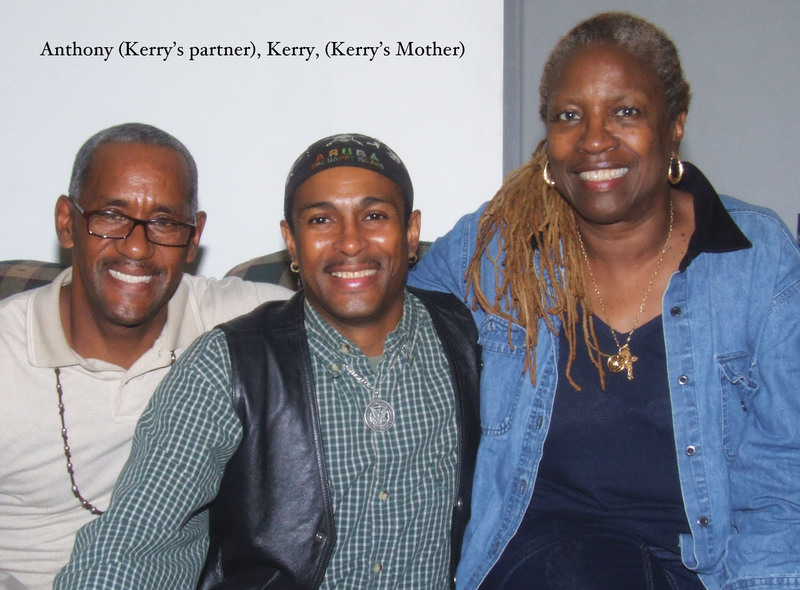 Kerry Jackson was born and raised in New York City and his nearly lifelong journey living with HIV is unique in many ways. At the time he was diagnosed, most people didn’t stand much of a chance of survival. At the age he was diagnosed, most kids wouldn’t have had the maturity to deal with the diagnosis the way he did. And, he has never spent a day in the hospital due to complications from HIV in his 33-years of living with the disease. “The grace of God held me all those years. I never thought of revenge or anything. Maybe the diagnosis was Gods way of telling me to slow down, I was going way too fast.” Kerry went on to say. Kerry did graduate from high school and went on to work in sales and marketing on Broadway, then had an 11-year career with Holiday Inn, the last seven being the General Manager of a Holiday Inn in Atlantic City. He retired from Holiday Inn in 2006 to care for his Grandmother who had taken ill with cancer. Being the only child, he felt it was his responsibility to care for her and his mother. When the recession came and made job prospects scarce, that didn’t stop him from keeping busy. Kerry is truly fortunate in that he was so healthy through his regular check ups that he didn’t have to go through the first HIV regimens that required tons of pills at all times of the day. “I had been positive for 22-years before I started on medications. My check ups were all OK so I didn’t need to get the meds. I took my first meds in 2004 and once I began I took Atripla…I’m still healthy as a horse!” said Kerry. His advice to someone who is newly diagnosed is: Take it slow, think about your decisions from this point forward and make a 3-year plan.